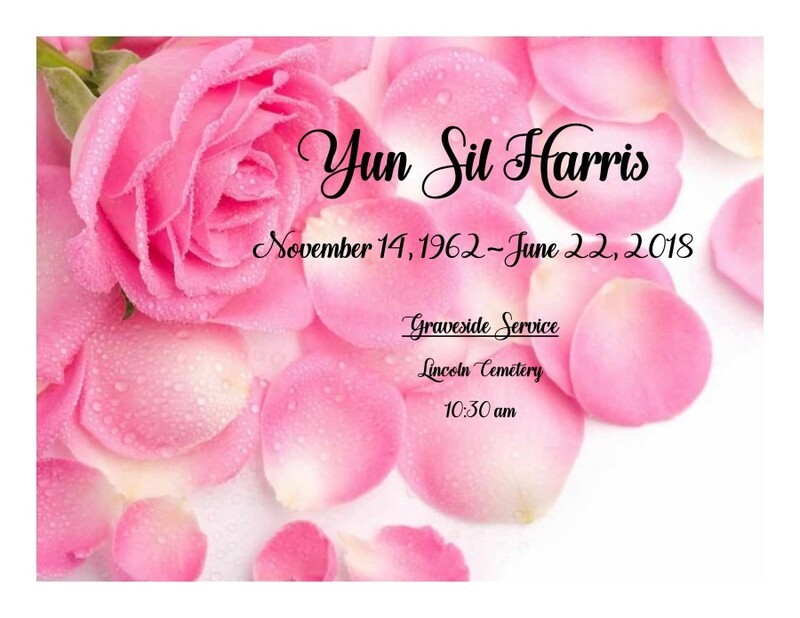 Yun Sil Harris, 55, of Selma, Alabama passed away on June 22, 2018, at UAB Hospital in Birmingham, Alabama. Graveside services will be held on Friday, June 29, 2018, at 10:30 a.m, at Lincoln Cemetery with Minister Chris Minter, officiating. Ashley's JH Williams and Sons professional and compassionate staff humbly thanks the Harris family for selecting our firm for the care of their loved one.